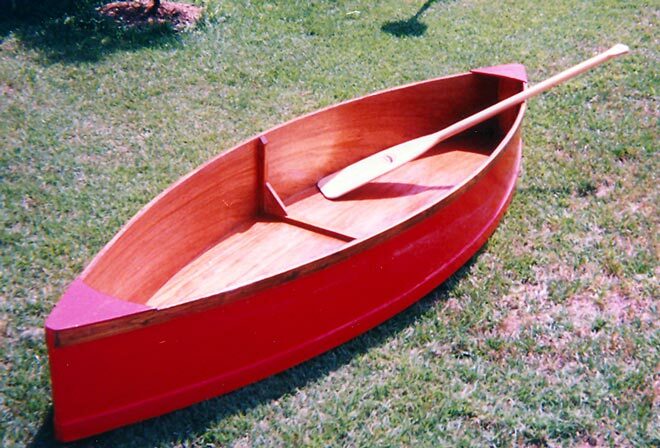 Weighing only 20 pounds, this "mini-canoe" was designed and built by Robert Van Orden. He writes that it cost just over $50 and took about 20 hours to build. He used a single sheet of 3/16" plywood for the planking and made the stems and ribs from pine. It is 7'8" long and 27" wide. 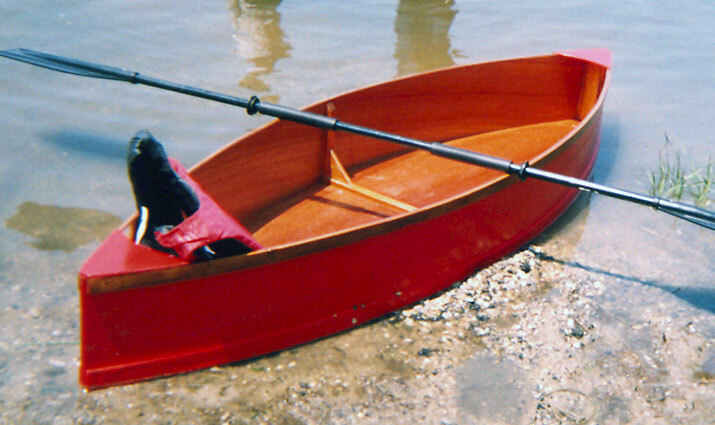 Robert paddles his canoe in the tidal streams of Cape May County in New Jersey. Contact Robert at clubvan@webtv.net.